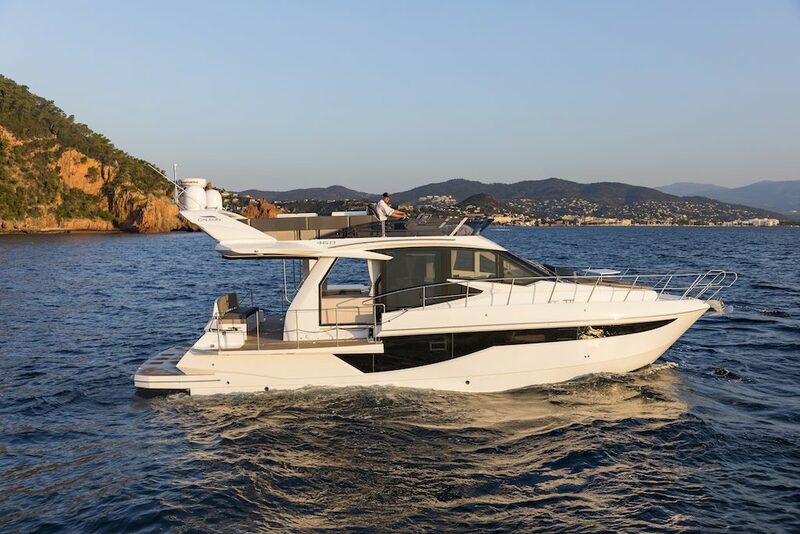 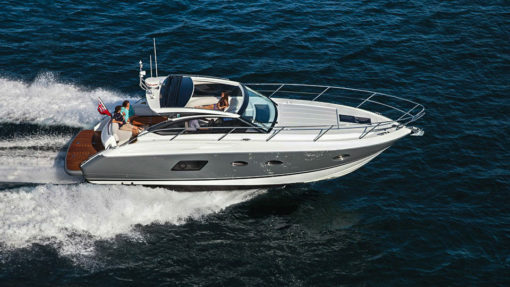 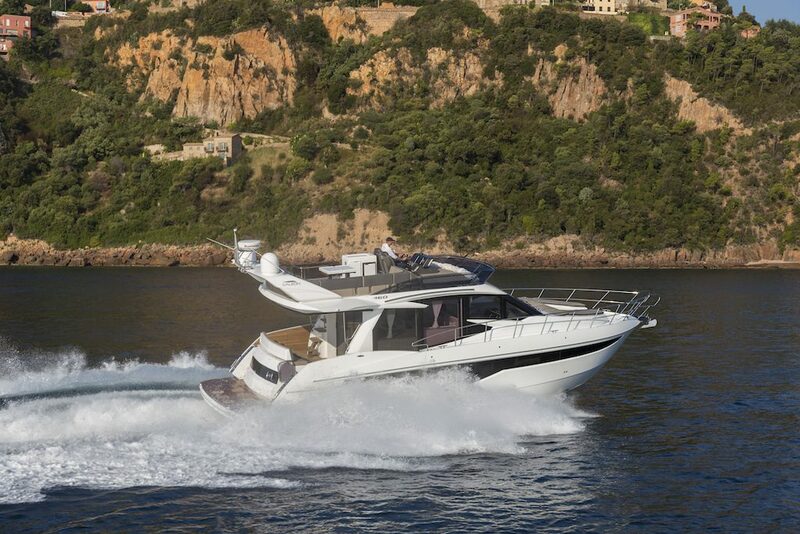 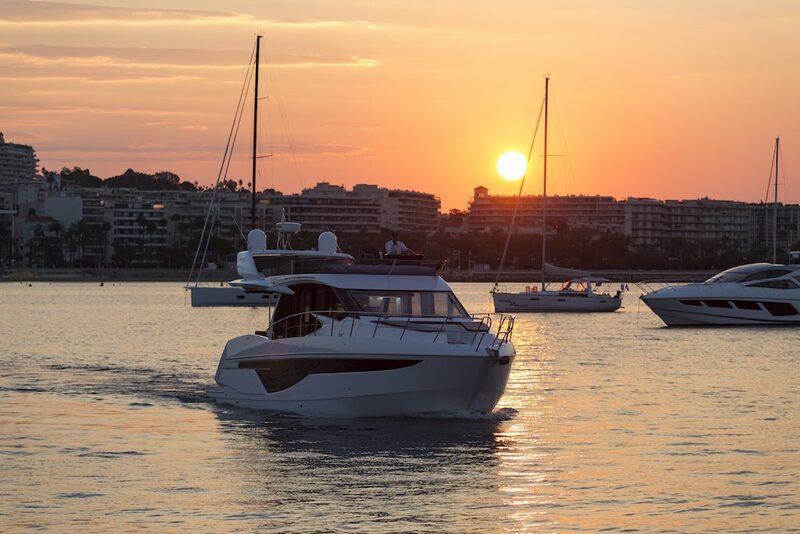 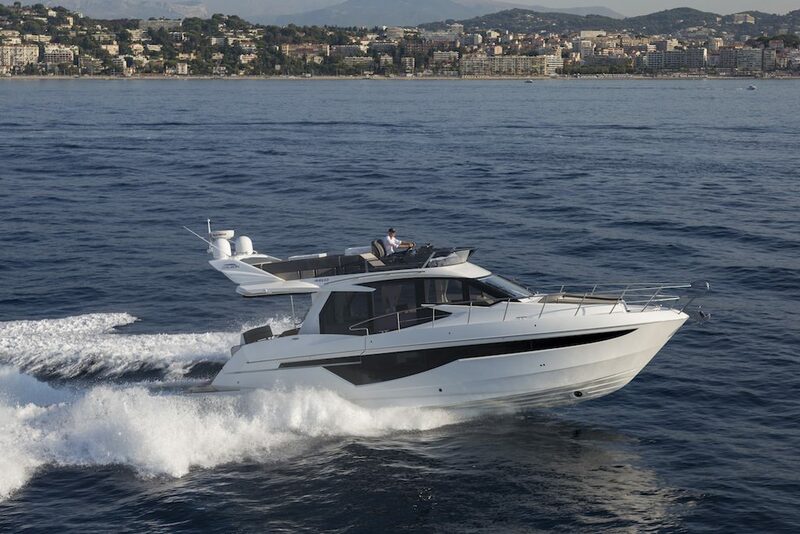 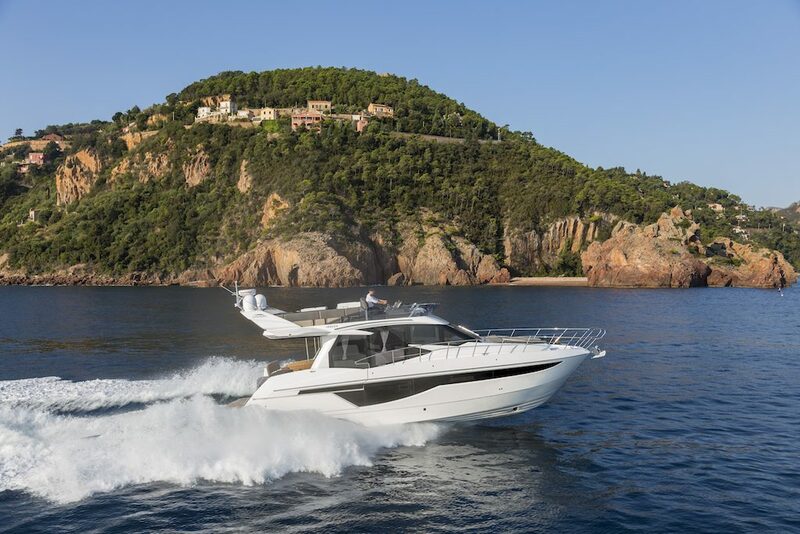 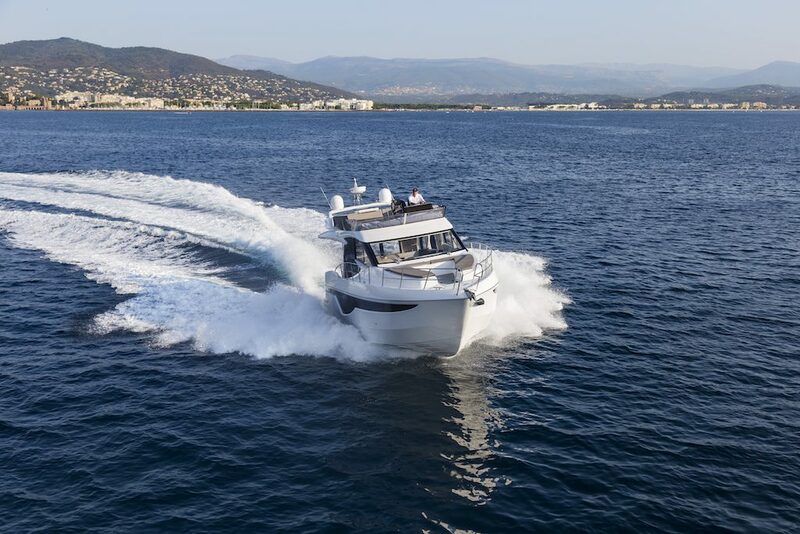 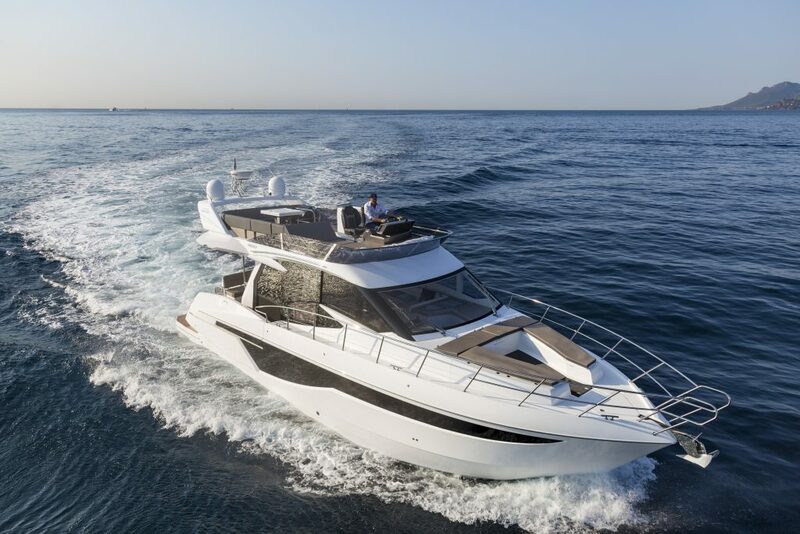 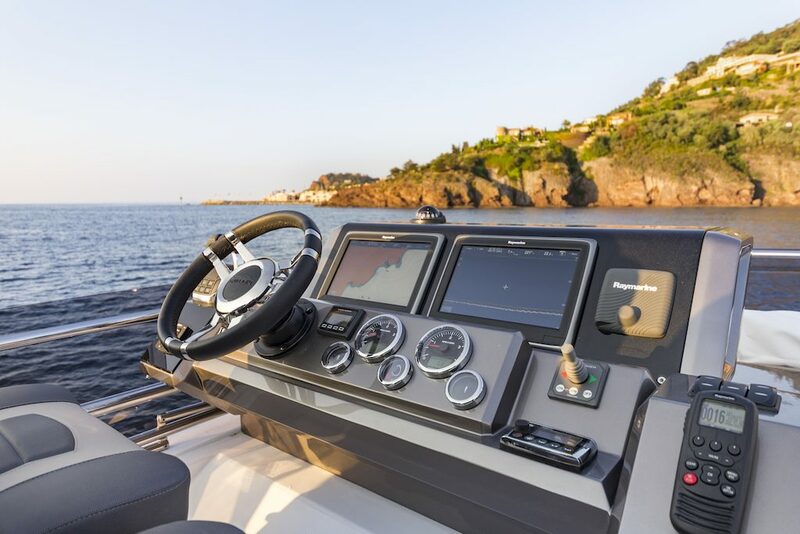 Recently arrived in Phuket Galeon 460 FLY – 2016 Award Winning European Power Boat of the year! 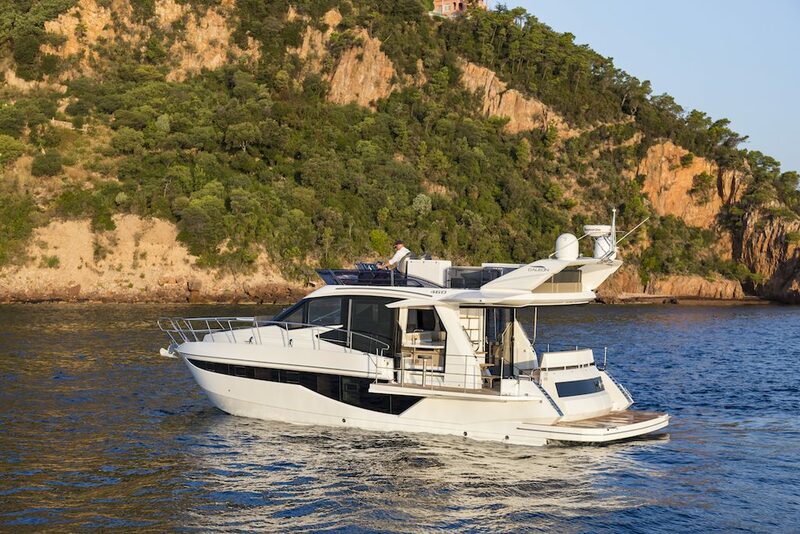 Fantastically designed for day and overnight trips allowing so much extra space on deck, just wait and see! 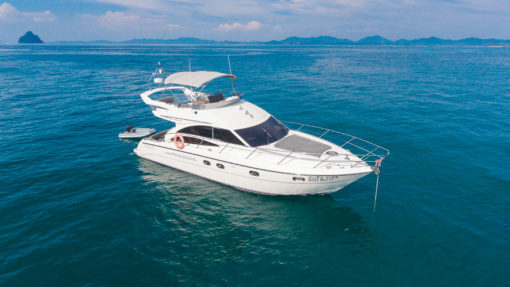 It can comfortably fit up to 14 passengers for day charter around the best islands in Phuket. 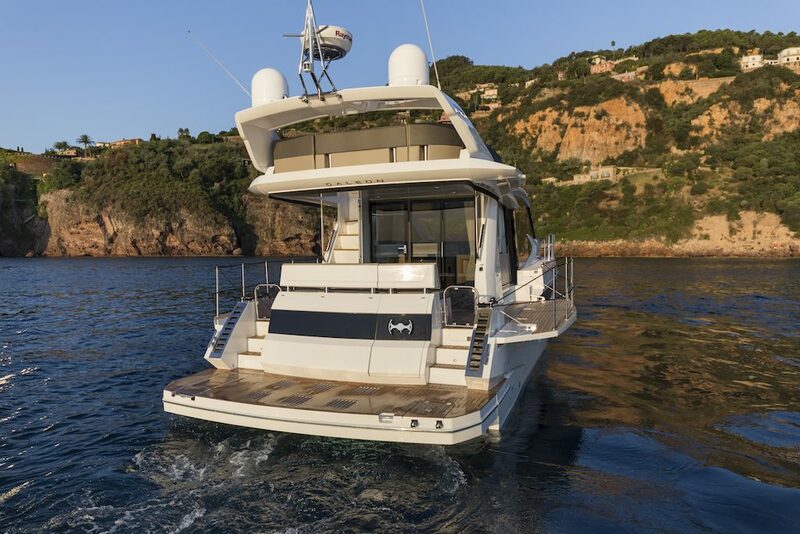 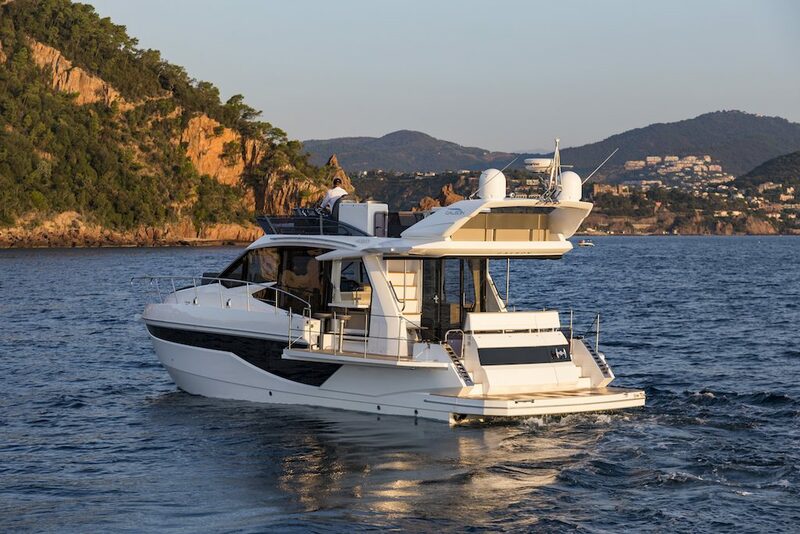 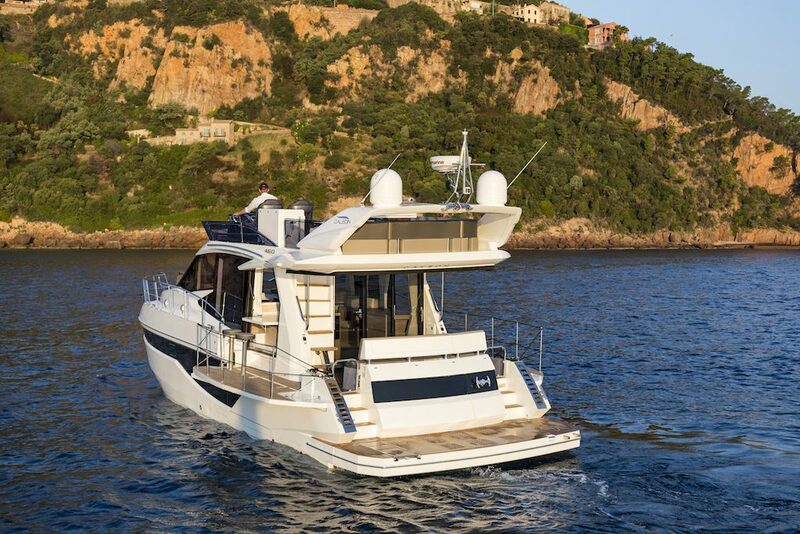 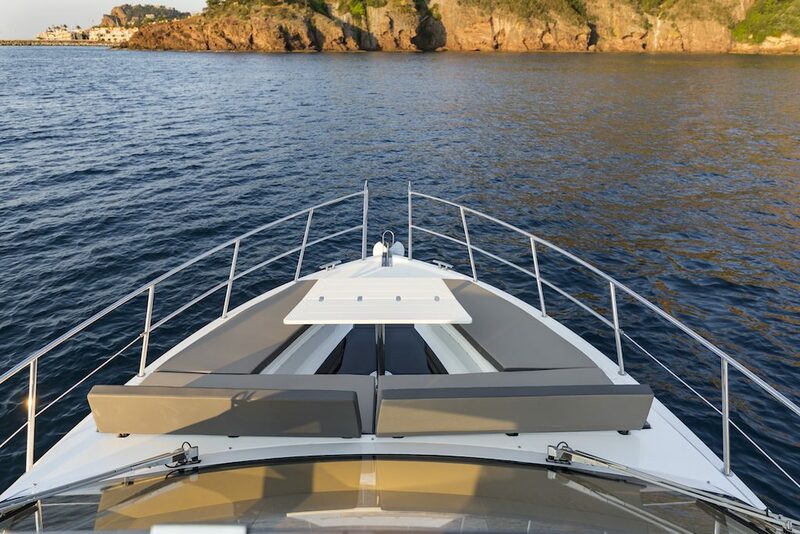 This very special yacht built in 2016 with a total innovative design, is fitted with an automatic bow relaxing area that can quickly turn into a sundeck roof. 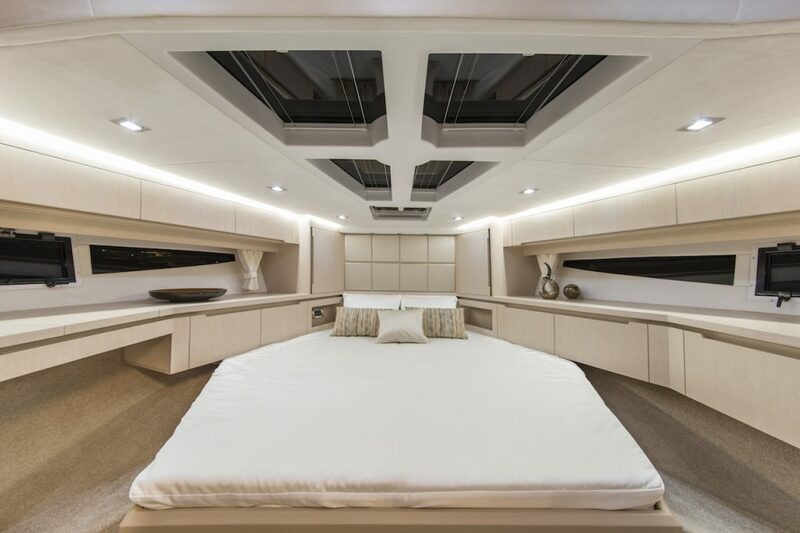 The revolutionary cockpit sofa at the back can be rotated facing front or back, a great feature for this new yachts. 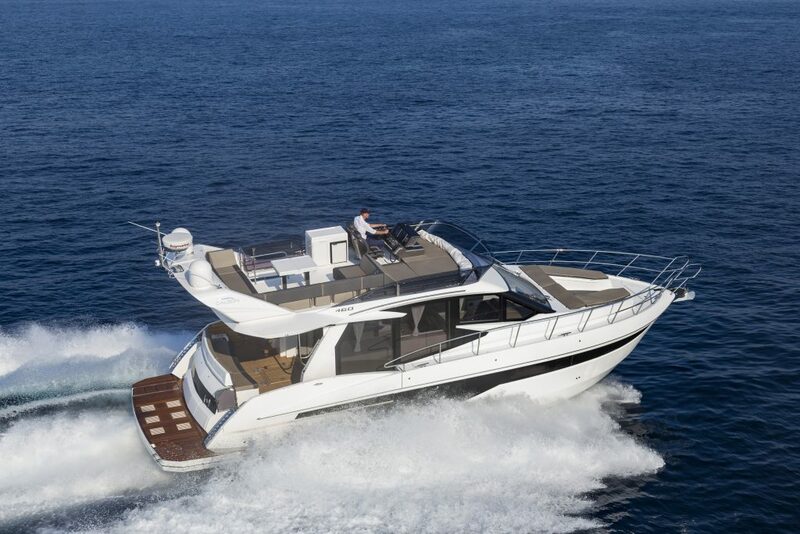 But our guests ultimate favourite feature about this boat is: the “Beach Mode”. 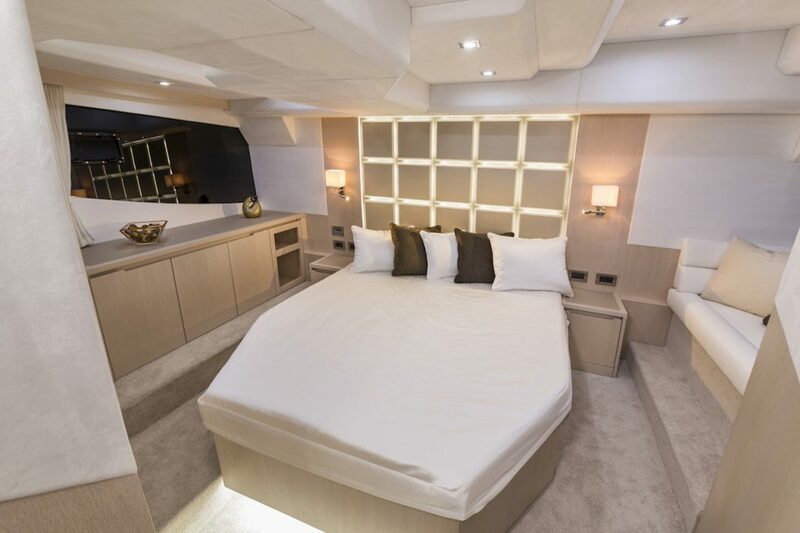 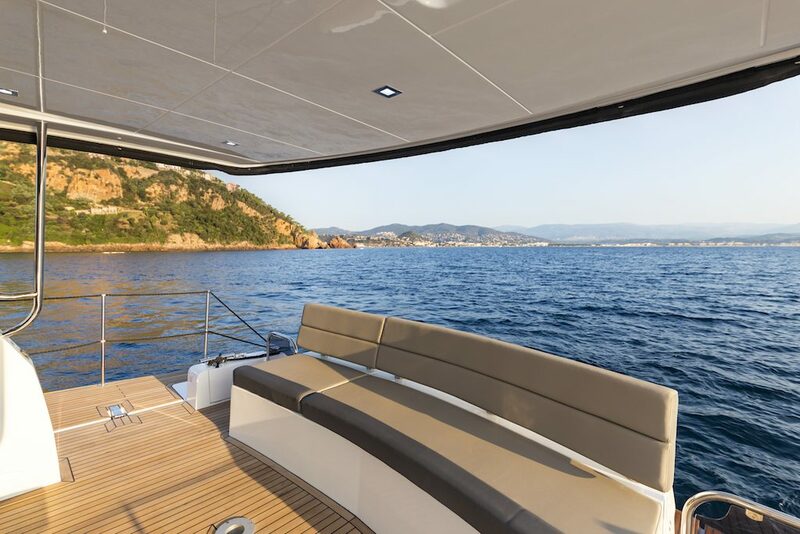 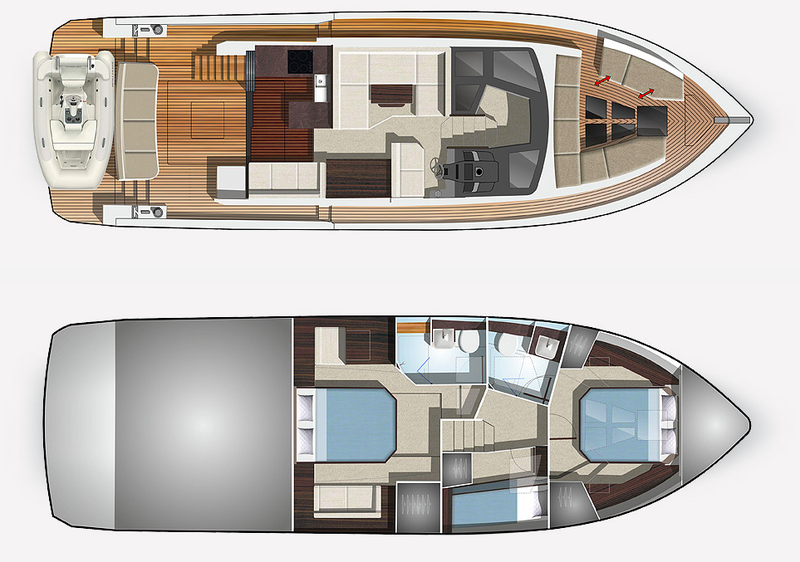 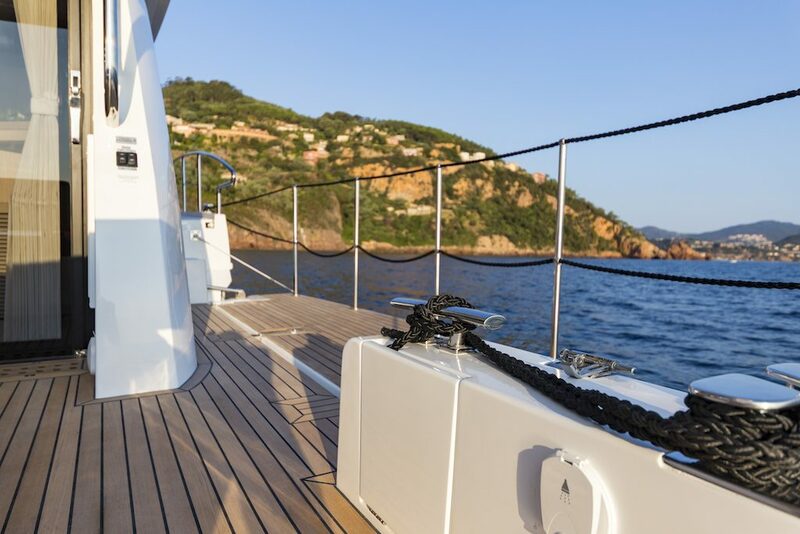 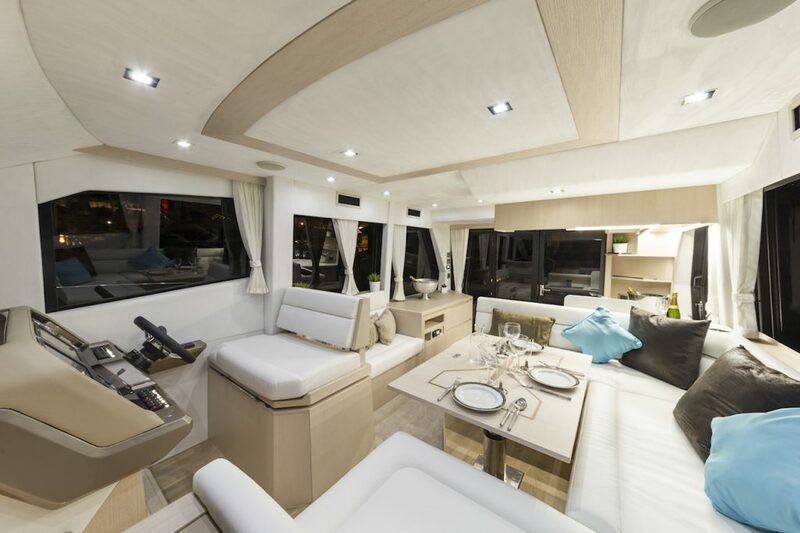 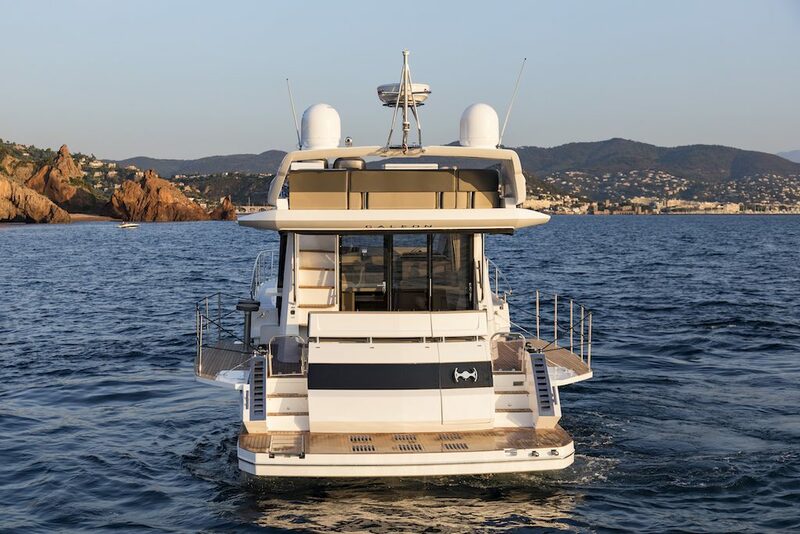 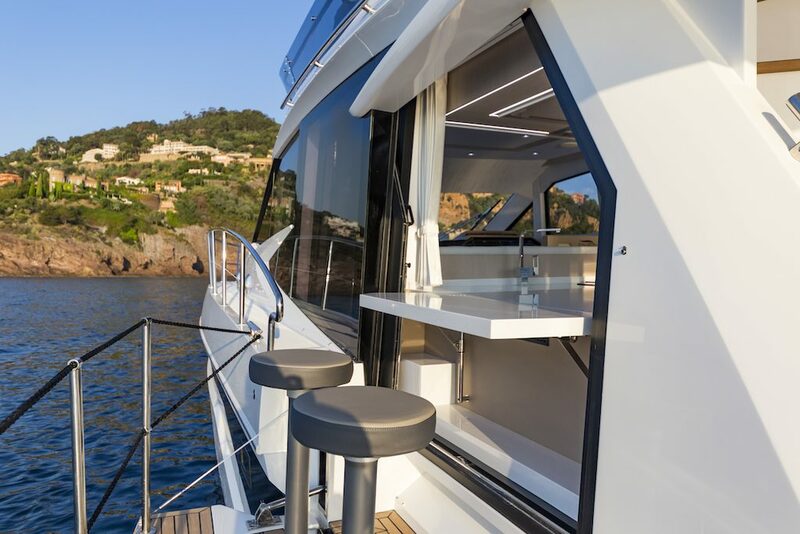 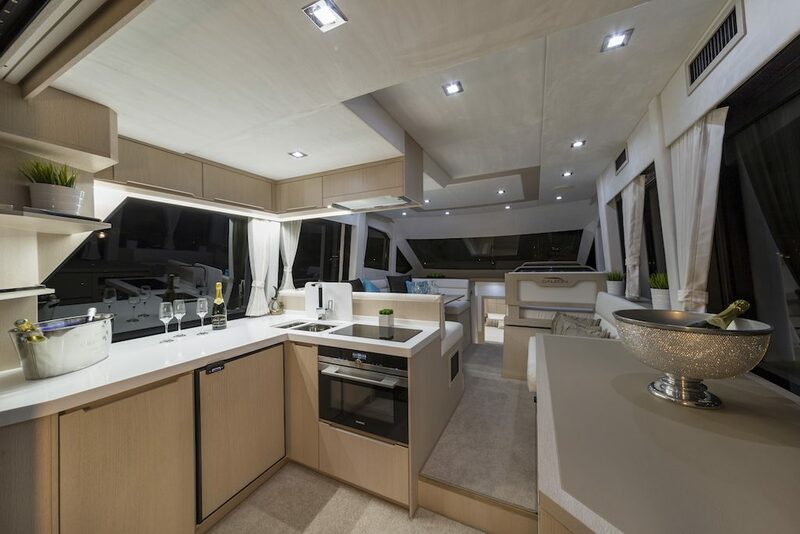 This avant-garde “hydraulic drop down bulwarks” allows to opens up the yachts aft cockpit providing excellent entertainment space for all guests during day charters. 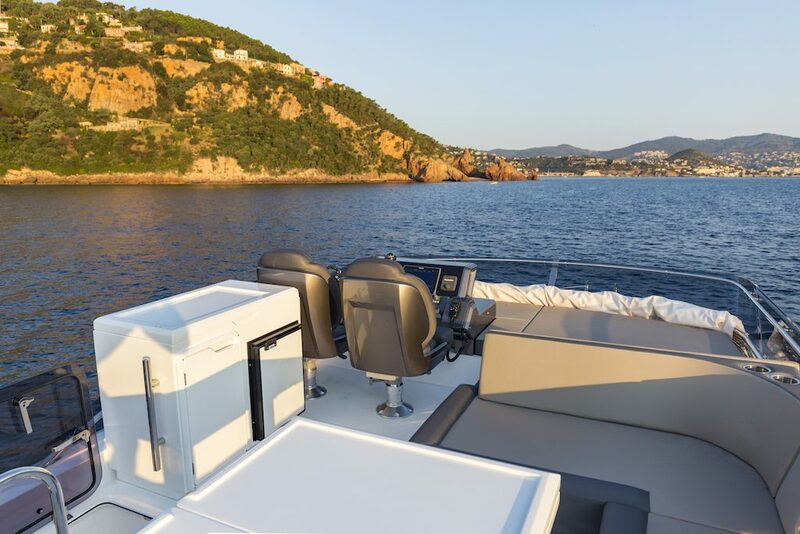 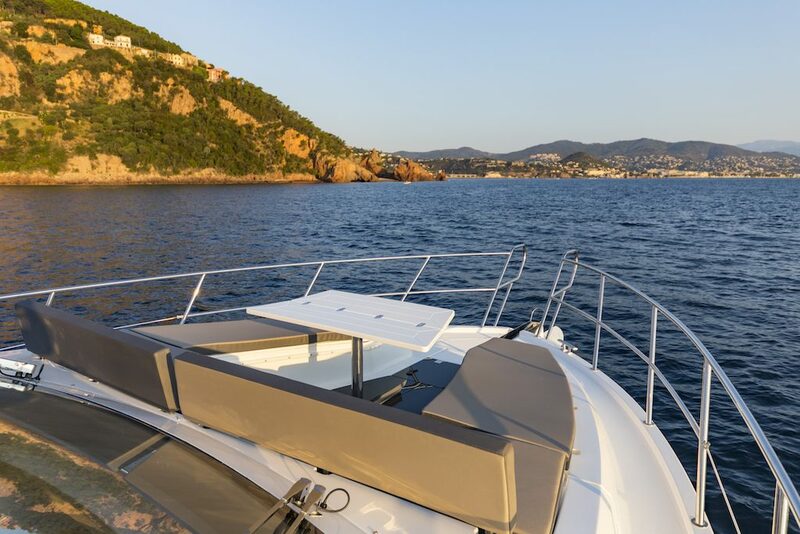 The brand new beautiful interiors of our 14mt Galeon are all finished with the finest quality fabrics and materials you can feel, see and smell the right moment you step inside. 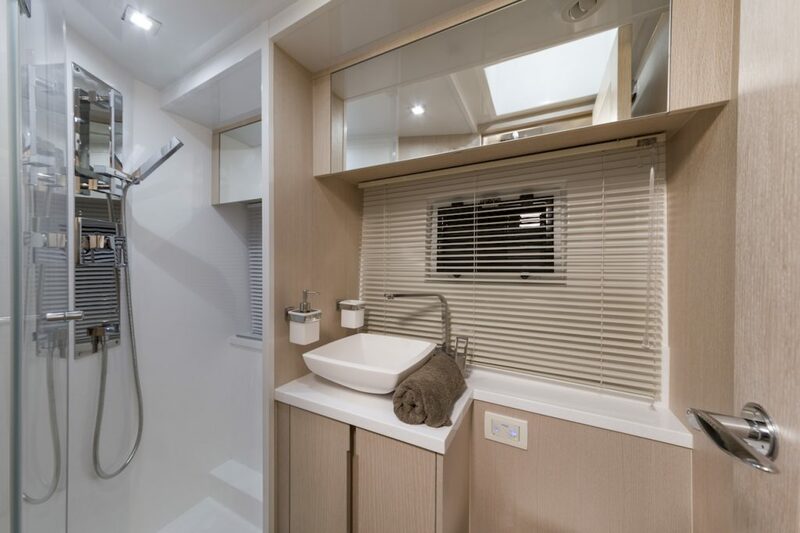 The spacious and cozy 3 double cabins can allow up to 6 passengers for our overnight charters and include two ensuite bathrooms. 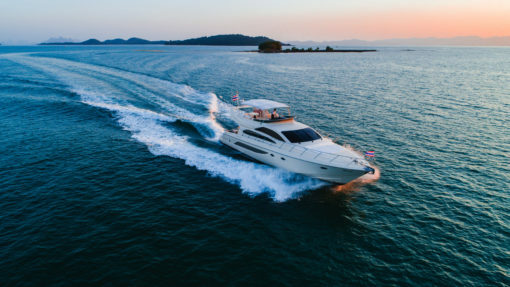 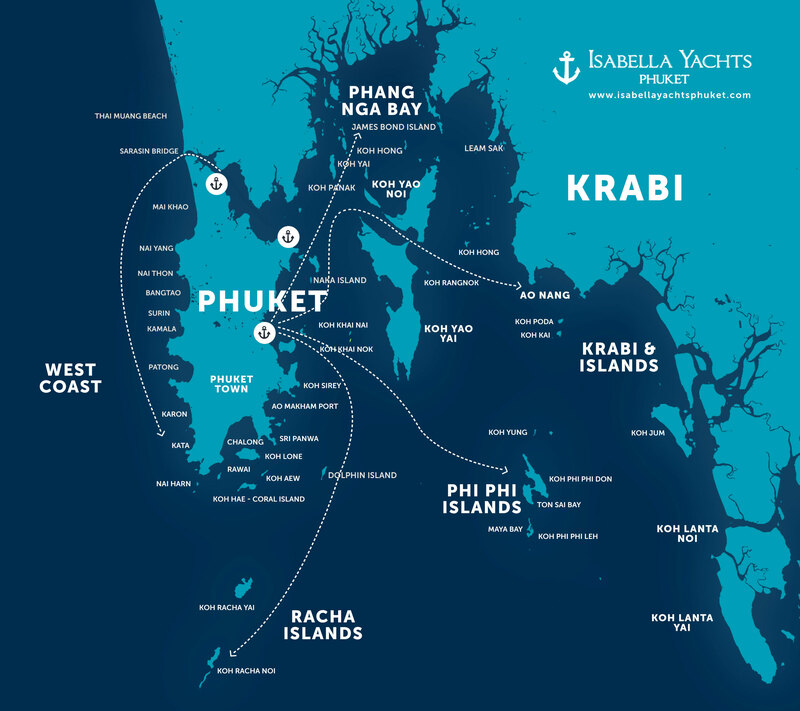 Let our professional crew take care of your family and friends during your unforgettable boating trip around Phuket and the islands.